Personal Storage Files (also known as Outlook PST file) works with an online Outlook account. A copy of this PST file is stored on Mail Server if you use Outlook account with Microsoft Exchange Server and one on the local drive which is automatically created by Outlook. Creating a backup of your PST file will help you for sure in worst-case scenarios like when your PC (computer) stops working or your PST files become corrupted or infected because of malware, you need to transfer data with different machines, etc. How to backup Outlook PST file? Remains the question. In this article, we will take you on a tour of ways (methods), with the help of which you will become a pro in backing up an Outlook PST file concerning different scenarios and issues related which you may face sooner or later. 1. How to back up full PST file? In this section (1), you can learn how you can take backup of all your data in a PST file including everything like Contacts, Emails, Email Properties, attachments, etc. Note: Do not follow these steps if you are using Outlook with Microsoft Exchange Server. Before proceeding, you should close Outlook, Microsoft Exchange or Windows Messaging if any of the programs are running (open) already. Press + R > type control panel > press Enter (Note: Select User Accounts on Pick a Category screen). Click the Mail icon > select Show Profiles. Click Personal Folders under your username. Click Settings, here copy the path & file name you see now in the pop-up window. Note: Usually Outlook PST file contains all the data which is stored in the MAPI folder, and the size of this folder can be massive. If you want to reduce the PST file size then, click Settings and select Compact Now. Open This PC, or My Computer > copy the path noted in step 6 in the address bar > press Enter. Now, you can select the PST file, and make a copy (backup) of the file. Note: By default, the Personal Folders Service is called as Personal Folders, or the name could be different. Somehow, If Personal Folders or may be a different entry is missing, then search for how to create a PST file. If your Outlook account is saving your mailbox data on an Exchange Server, then search for how to back up PST data file located on an Exchange Server. 2. How to back up Select PST file data using Outlook 2016? 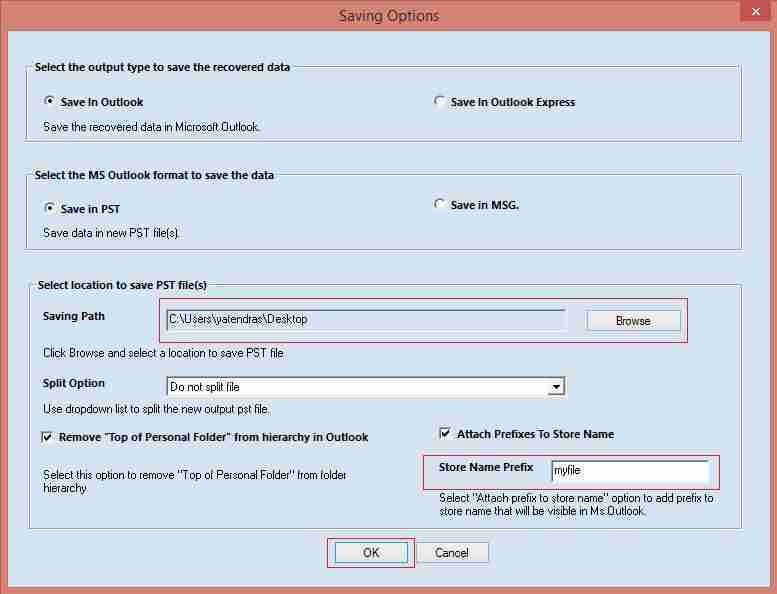 In section (1), you learned how you could create a backup of your Outlook account’s PST file containing all your data. But if your concern is data importance over the data quantity, then you can make use of this section (2). These steps would let you choose what you want o backup and what you don’t. Click File tab (top left corner). Click Import & Export > now select Export to a file > click Next. Click Outlook Data PST File > select the Folder you want to export (backup) > click Next. Browse for the location where you want to save your PST file backup > hit Finish. Note: While backing up the file, you can change the name of the file if you want. 3. How to transfer Outlook PST file from one PC to another? You have learned how to backup your Outlook PST Data file. In this section (3) let us discuss How to transfer Outlook PST Data file between one PC to another, and afterward How to import that PST Data file. Before proceeding further, take note that you would need a PST backup file which you can import on a new PC. Section (1) & (2) will help you with backing up. Open Outlook 2016 > click on the File tab (top left corner). Click Open & Export > select Import/Export. In the Import/Export wizard > select Import from another program or file > click Next. Select Outlook Data File (.pst) (in import file wizard) > click Next. Browse the PST file you want to import. Note: Select from the given options as you like, under the Options area. You either can choose to import the full PST file, or you can select which subfolders you want to keep. Note: You can apply Filters before finalizing the import process and choose whether to import your data in the current folder or a new one. 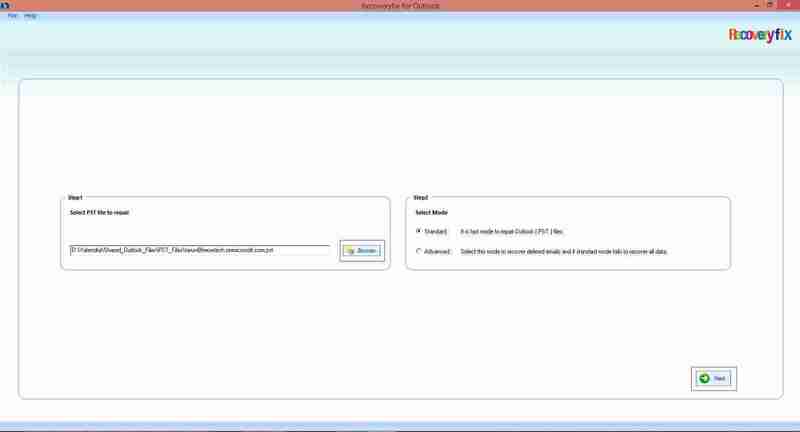 Section (1) & (2) demonstrated how you could backup PST Data file; you can use the same file backup steps to create a new PST backup file with the purpose of transfer in mind. Note: Now, in Outlook 2010 Windows app, you can select Transfer.pst account file and start saving your data & other stuff. Click File tab > select New > select Outlook Data File. Input a display name for Personal Folders File > click Ok > close Outlook. Note: Go through Section (1) & (2) for creating PST file backup and transfer that file on a removable drive, copy on the second PC. Go through Section (3) for importing your PST data file. That is how you can transfer Outlook PST Data file between two PCs, in Outlook 2016 and earlier versions of Outlook. Are you looking for a more convenient method and want yourself to be saved from these Steps to avoid a possible mistake? 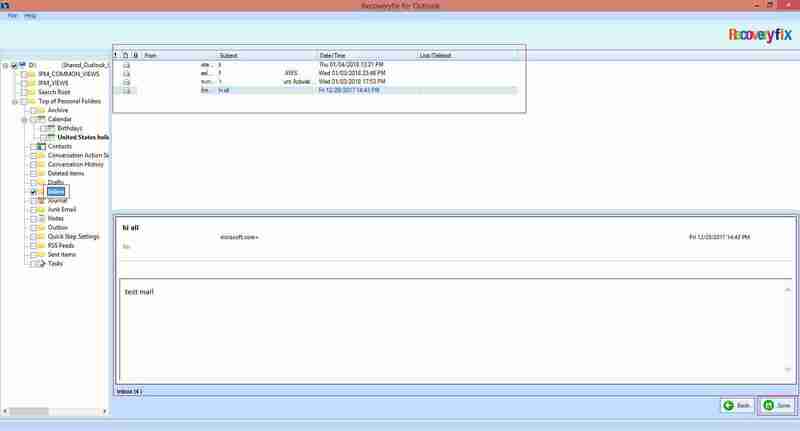 Choose RecoveryFix for Outlook PST Repair as it saves time; tool size is light as well. The working of this tool is super easy. Just load the file you want to repair or backup, select the folder and click Save. Open the tool > Browse and select the PST file > click Next. Select multiple or single folders you want to repair or backup (left pane), in the content area (upper top) a list of files will be shown, clicking upon specific file you can preview each file (down the bottom), and click Save. Note: You can change other available options like Split file, save in PST or MSG, save in Outlook or Outlook Express, etc. 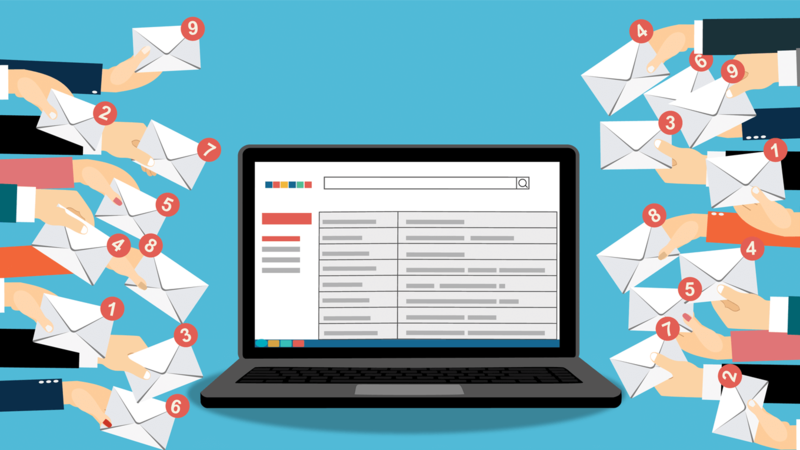 It is common that you might think of using your Outlook account on different machines or you want to secure your important data for the worst possible cases. In this article, it is shown that how you can back up Outlook PST Data file and transfer it between two PCs. RecoveryFix for Outlook PST Repair is one of the best tools which you can find on the Internet. With easy-to-use RecoveryFix for Outlook, you can back up and repair your corrupt Outlook PST data file.